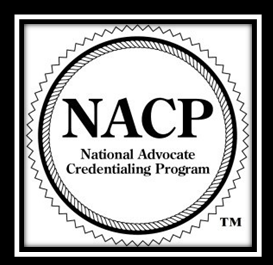 This section includes a list of current NACP Pre-Approved Training Programs by State as well as instructions for obtaining pre-approval for your victim assistance introductory advocacy training. In addition, Training Requirements and Instructions for NACP Applicants are provided. These organizations have submitted their forty-hour training curricula to the NACP Review Committee for review and pre-approval and are responsible to inform NACP of any changes in their training hours and topics. NACP does not regulate how often they hold their training, the training delivery or its quality; NACP requires that each pre-approved training be a minimum of forty hours and include the basic or foundation level topics outlined in its “Introductory Advocacy” training area. If you would like to add your 40-hour introductory advocacy training to this list, click here for additional information. This section includes additional instructions on the training requirements for NACP applicants by level.